Join us for two special events celebrating Magic the Gathering and Dungeons and Dragons! 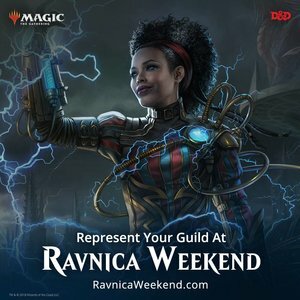 The Guildmaster's Guide to Ravnica releases next month! This new Dungeons and Dragons hardcover combines the classic roleplaying game with the Magic the Gathering universe, taking players to the plane of Ravnica! 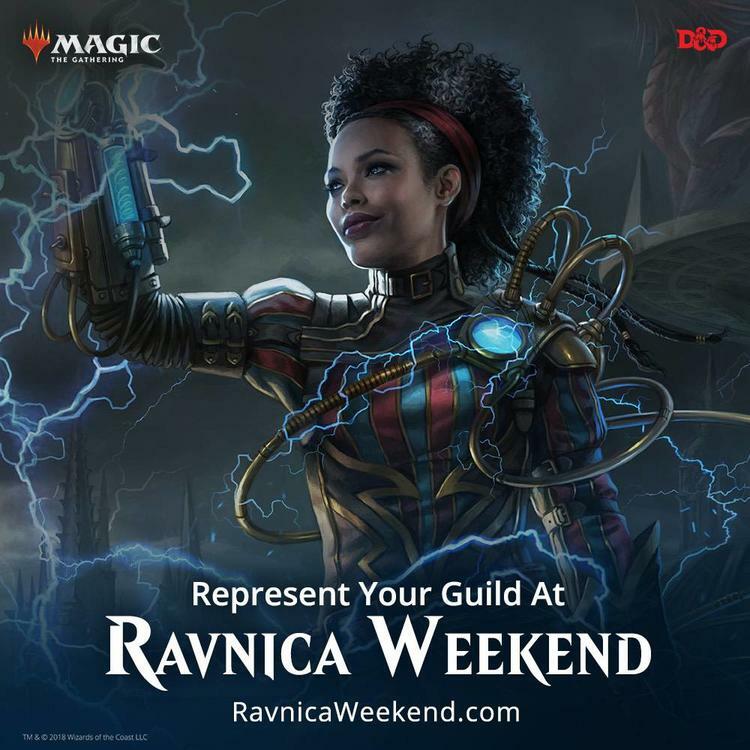 A one-shot Dungeons and Dragons Ravnica Adventure from 5 PM to 9 PM. PLAYERS WHO PURCHASE THIS TICKET WILL ONLY BE SIGNED UP FOR THE DUNGEONS AND DRAGONS ADVENTURE. IF YOU WISH TO PARTICIPATE IN BOTH EVENTS (OR IN ONLY THE DRAFT), PLEASE VISIT THIS PAGE. Wizards of the Coast is publishing an exclusive Ravnica-themed Dungeons and Dragons adventure for the event, and we will be running it during the second half of our Ravnica weekend. Players will not need to bring anything with them; the store will provide dice, character sheets, and everything else you will need to jump into the adventure. If you have never played Dungeons and Dragons before, don't worry! This event will be very new-player-friendly. Based on attendence, we will raffle off promos and other items to participants.